Is your kiddo a natural leader? Someone who is able to step up and fill the shoes (or, in this specific case, sandals) of the guide of guides who can help lead a flock of folks through the desert of perdition and into the promised land of freedom!? Well, it's time for your child to play the role of Moses in the next play and we have the perfect costume for your little one! 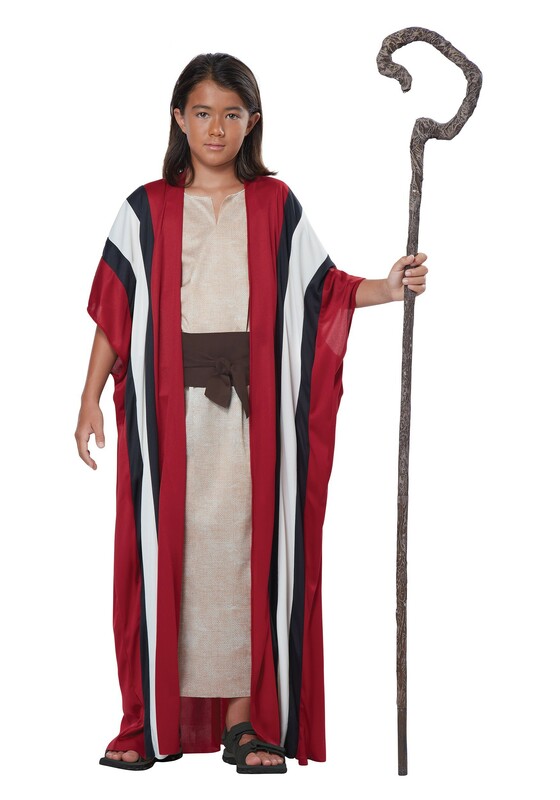 Bring some wisdom to this era with this Child Moses costume. The long sleeveless pullover tunic is comfortable and printed to look like a rugged robe for desert travel. With an open front and wide sleeves, this robe looks like it came right out of ancient days and still has some great contrasting colors for a stylish modern time period, too! Accessorize further with a crooked cane for those long trips!